When I first started blogging here about stem cells in 2010, frankly it felt pretty lonely out there in cyberspace. Nature‘s great blog by Monya Baker and Natalie DeWitt on stem cells had called it quits late in 2009. For the most part the stem cell blogs and other Internet outlets present early in 2010 were either anti-embryonic stem cell sites or a few predatory stem cell clinic sites. Now there are more stem cell blogs out there. It’s a welcome change. People interested in stem cells and regenerative medicine have quite a few different blogs they can read for information and commentary. That’s a great thing. 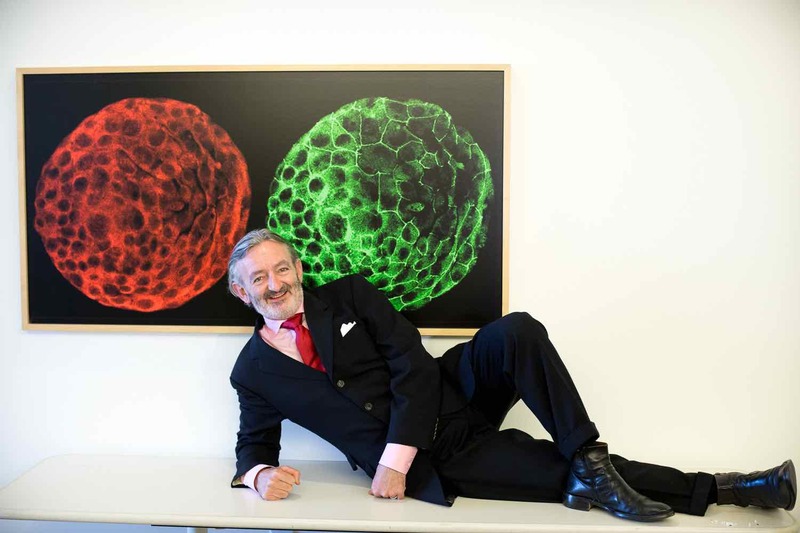 So what was the best stem cell blog in 2015? The prize goes to CIRM’s The Stem Cellar. While this is a tough choice (see more below on other stem cell blog), CIRM’s blog has continued from year to year to step up its game. They post very often, sometimes daily. Their posts are composed of compelling content that includes reports on papers and other developments, but also commentary. I really appreciate the latter and that is fairly unique. They have also gone well beyond just focusing on CIRM-related matters to include broader issues for the stem cell field. They have a whole great team of regular contributors and that brings a nice level of diversity to the writing. The team includes Kevin McCormack (pictured), Todd Dubnicoff, Don Gibbons, and Karen Ring. Confession time. I’m jealous of this team. I have great guest posters on this blog, but I can only imagine how awesome it would be to have a full team of regular contributors. Congrats to the CIRM stem cell blog team for having the best stem cell blog of 2015. There are other blogs out there that I highly recommend and finishing a close second was Alexey Bersenev’s blog StemCellAssays. It continues to be incredible. Alexey regularly posts on the more technical side of stem cells, regenerative medicine, cellular medicine, and more. StemCellAssays is a much read for those interested in this field from any number of angles. Update: By way of disclosure, I am a past recipient of CIRM funding for my lab, which has also had and has student funding support. Thx Paul for including my Blog in the 2015 list – it’s an honor to be amongst such stellar company. Kudos to the CIRM team for the well deserved outreach nod & to Alexey for his constant excellent contribution & being the runner-up. I would add that The Niche is perhaps the most popular of all and a magnet for the community and engagement effort – congrats to you Paul for making it so and your leadership. This reminded me of the importance of these efforts to address the increasing ground swell of scientific discoveries in medicine, specifically in relation here to regenmed & stem/cell therapeutics. Empowering community outreach and engagement vehicles as conduits of go-to resources for verifiably accurate apomediation is vital in the internet age. This opportunity can only be successful if there is an acknowledgement of it as a leading proactive comm role. With support and participation it’s possible to bridge forward in the ongoing systemic transition to an innovation society where change is dynamic and fluid. This is with a view to remaining one step ahead of the information flow in a balanced and beneficial manner. Alan C. Regenberg & Theodore E. Schall of Johns Hopkins Berman Institute of Bioethics wrote a good paper on the subject recently which highlighted the importance of the issue “Outreach and Engagement: Evolving Media and the Public Obligations of Stem Cell Science” http://link.springer.com/article/10.1007/s40778-015-0023-3/fulltext.html. Look forwarding to seeing the sector continue building momentum in 2016.